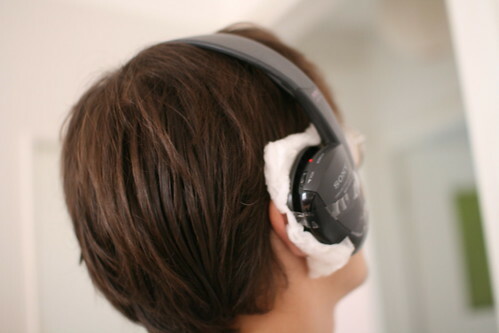 Ears are an important part of our body and consumer electronics is often adapted to them through various process. But sometimes, the aging of technologies make them fall apart and people need to fix the device they have. When it comes to intimate products such as headphones, people look for easy-and-soft solution so that it's still adapted to the ears. 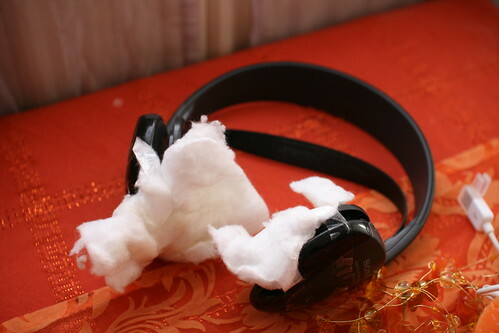 Cotton and the mandatory duct-tape can be of good help here as shown by this headset found during a home visit for a field study few days ago. A fix that will not age, gentle anyway. Again an interesting example of people's creativity in repairing their own gear.